The cast of Hudson Valley Shakespeare Festival’s production of "The Heart Of Robin Hood." The 2018 Hudson Valley Shakespeare Festival is bringing you all the classics this summer, including "The Heart of Robin Hood." Why are we so obsessed with the Robin Hood story? What is it about this heroic outlaw from the dark wood of English folklore that draws us to him? 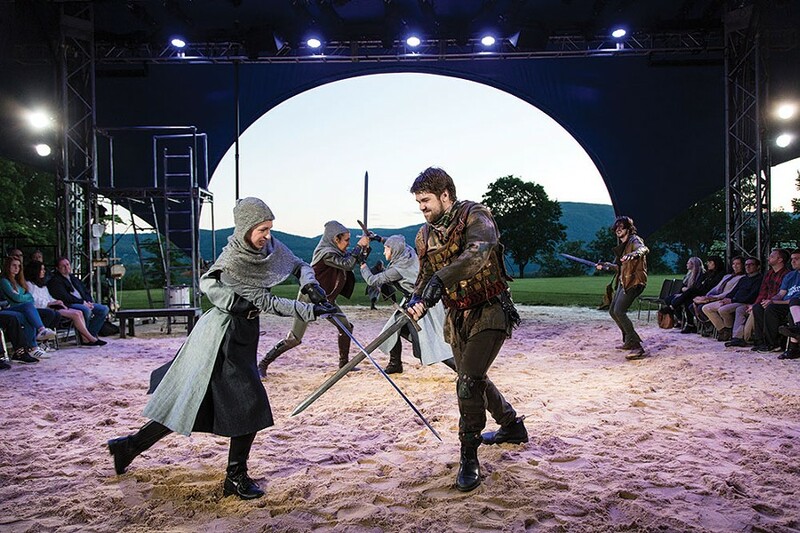 According to Suzanne Agins, director of the family-friendly production "The Heart of Robin Hood," which is being staged through the end of August at the Hudson Valley Shakespeare Festival, it's all about the blank slate. "We can project onto Robin Hood anything we're looking for," she says. "There's something about the nature of the character that's malleable, as I think many good mythological figures are. You can see him as a socialist figure. The Libertarians have held up Robin Hood as an exemplar. He can fit into any ideology." For those unaware of the Robin Hood legend, our hero is a skilled archer and swordsman of the Middle Ages who is a champion of the common people against injustice, mostly the violence and mean-spiritedness of the usurper King John, through his henchman, the Sherriff of Nottingham. Robin Hood lives in Sherwood Forest with his band of Merry Men—Little John, Friar Tuck, et al.—robbing from the rich and giving to the poor. They live apart from society, the platonic ideal of a virtuous, male-only community; (or, depending upon your point of view, a hotbed of toxic masculinity). In this revisionist update, written by David Farr for the Royal Shakespeare Company in 2011, Maid Marion (Robyn Kerr), a bored royal with a penchant for social justice and a desire for adventure, is the star of the show. Until her arrival, Robin Hood (Benjamin Bonefenant) and his band of brigands are just a bunch of low-down cutthroats out for personal gain. Luckily for the kingdom, Marion convinces Robin to change his ways and fight false king John (the deliciously villainous Sean McNall) until King Richard returns from the Crusades. 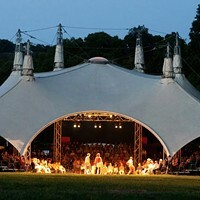 A note on the setting: Hudson Valley Shakespeare Festival performances take place in a large tent on the grounds of the Boscobel estate on the Hudson River in Garrison. 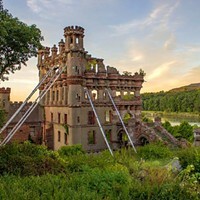 The opening of the tent faces west, toward the river, and it's a tradition at the festival for plays to begin with a procession up and over the hill, and across the lawn while the sun is gently dipping down behind the Catskills across the river. It's a downright magical atmosphere, and the cast of "Robin Hood" use it to their advantage in this fresh and spirited take on the well-worn legend. 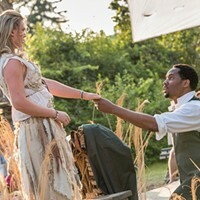 "The Heart of Robin Hood" will be performed in repertory with the "Taming of the Shrew," and "Richard II" through the end of August at the Hudson Valley Shakespeare Festival at Boscobel in Garrison. Special events and performances are planned throughout the summer.